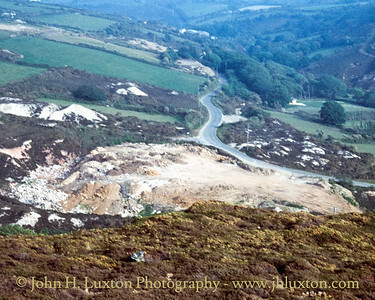 A collection of views of a number of sites in the St Agnes Mining District of Cornwall. 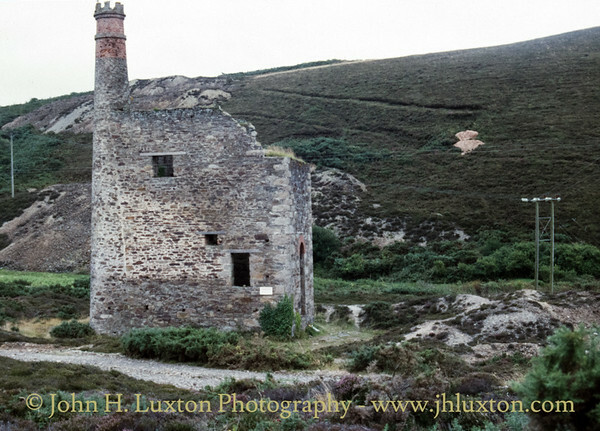 Wheal Ellen is known for its castellated engine house which was built in 1866 to accommodate a 70 inch pumping engine which was never installed. 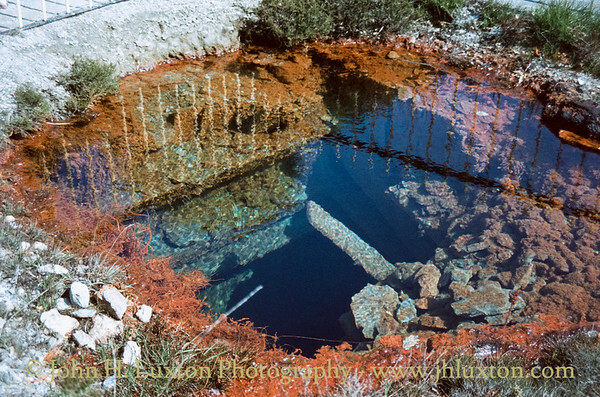 The mine ceased operations around the time the house was completed. 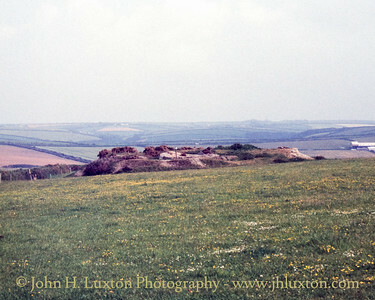 It is located across the road from Tywarnhayle Mine which can be seen across the road in this photograph. 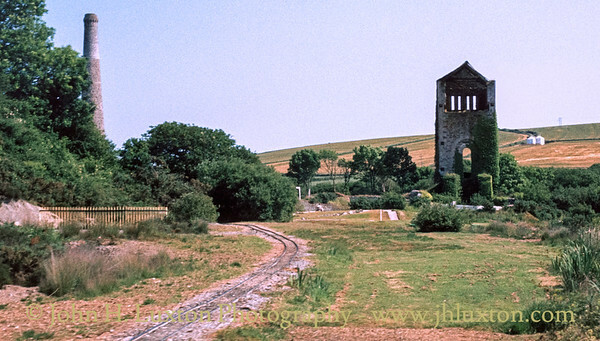 Only the bob wall survives of the pumping engine house at Great Wheal Charlotte to the west of Chapel Porth. 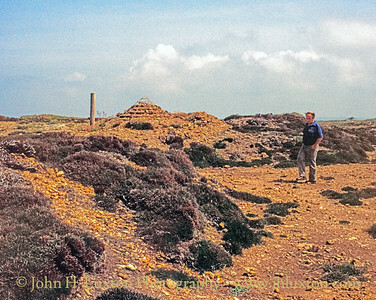 The wall has been conserved by the National Trust which owns the land. 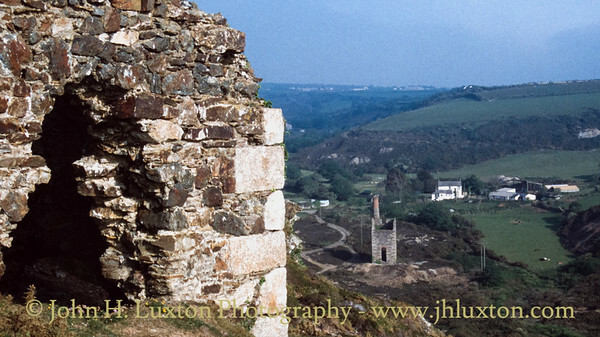 Wheal Ellen is known for its castellated engine house which was built in 1866 to accommodate a 70 inch pumping engine which was never installed. 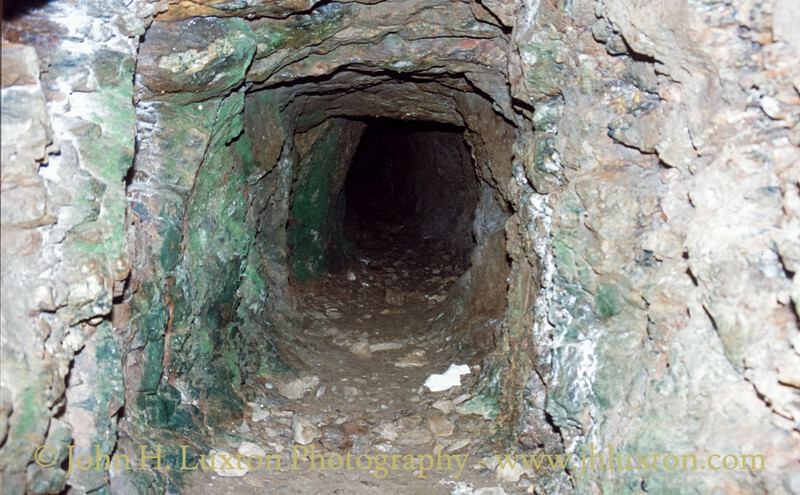 The mine ceased operations around the time the house was completed. 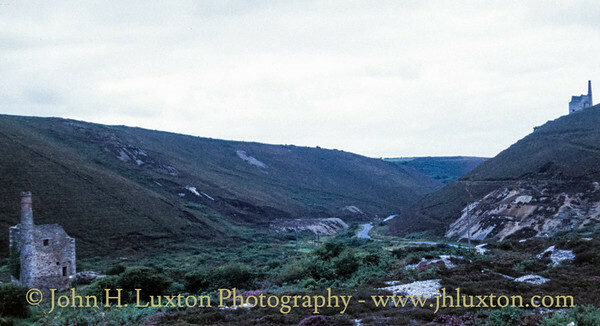 It is located across the road from Tywarnhayle Mine. 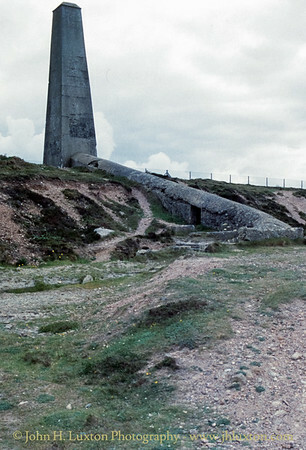 East Wheal Rose is located close to the village of St Newlyn East. 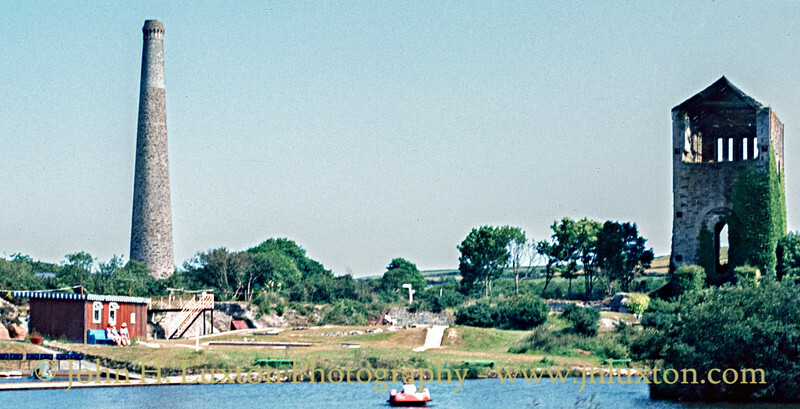 The surviving engine house over North Shaft was constructed in the winter of 1881 and housed one of the largest pumping engines ever used in Cornwall. A 100-inch beam engine, known as the 'Great Hundred' was purchased to prevent the mine flooding. There had been a flooding disaster at the mine in 1846 which resulted in the deaths of 39 miners. 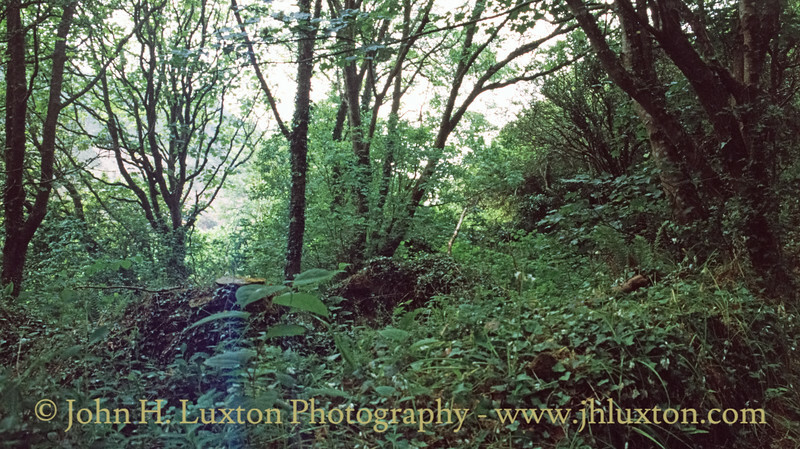 The mine closed in 1886 and the site is now used as pleasure grounds served by the Lappa Valley Railway. 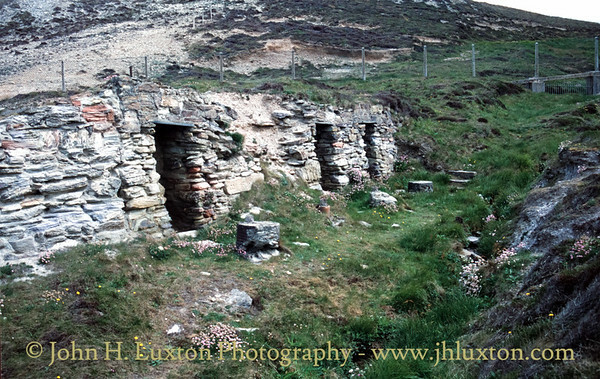 Wheal Prudence was a tin and copper mine documented to be working between 1812 and 1816. It was closed in 1849 and re-opened in 1862 before it's final closure in 1868. 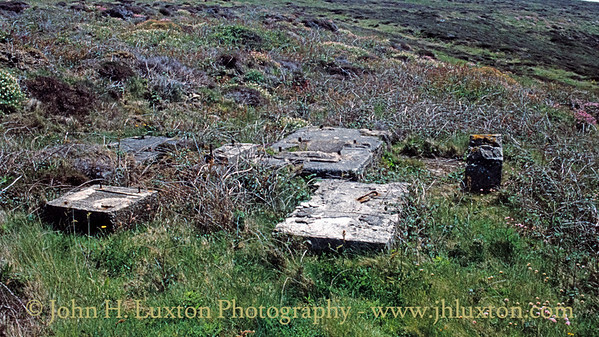 The prominent engine houses on the site were blown up by the RAF during World War II due to their proximity to RAF Perranporth aerodrome. 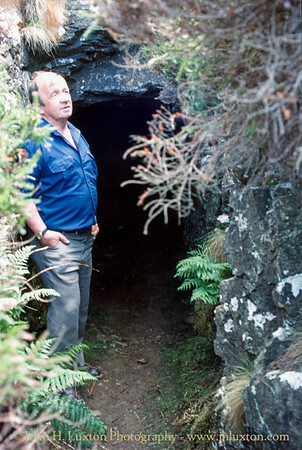 My father stands at the entrance to an adit at Perran St George and Droskyn Mine. 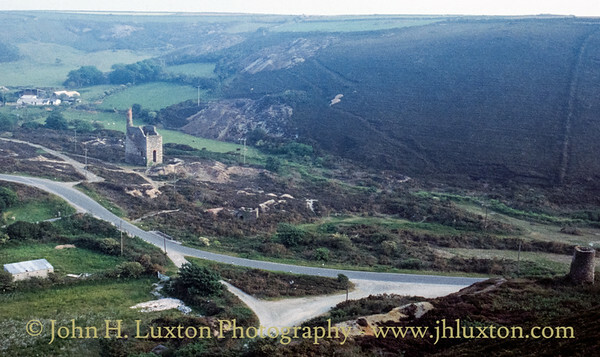 Wheal Ellen viewed from Tywarnehayle Mine. 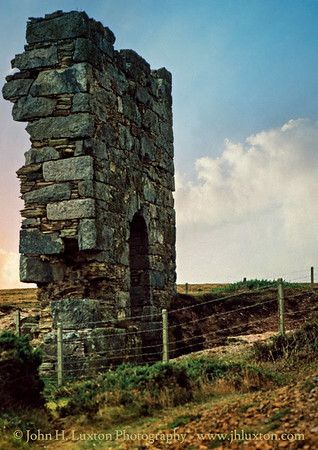 Wheal Ellen is known for its castellated engine house which was built in 1866 to accommodate a 70 inch pumping engine which was never installed. 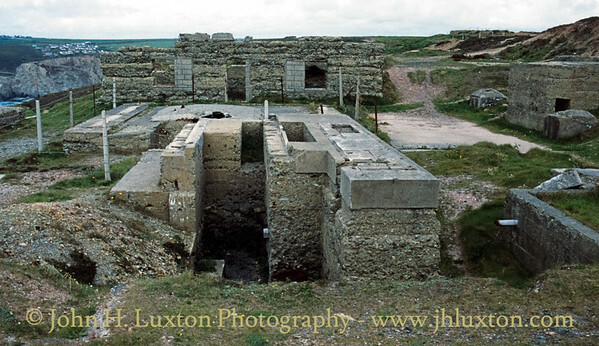 The mine ceased operations around the time the house was completed. 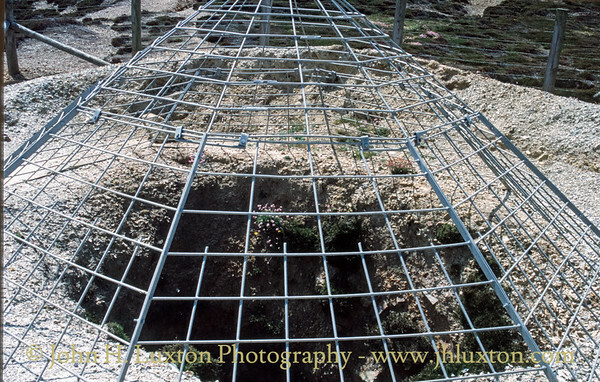 It is located across the road from Tywarnhayle Mine. 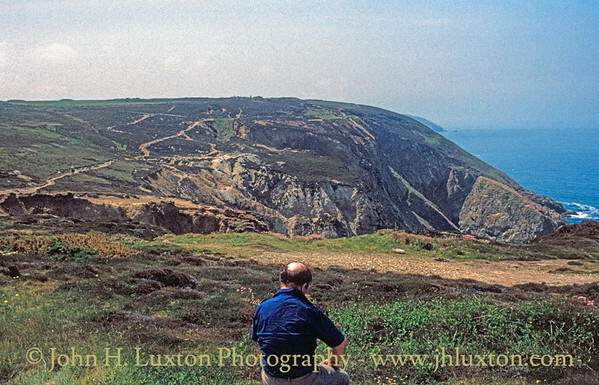 Wheal Sally - located on the east side of Keriack Cove extending south into the valley that leads into Keriack Cove. 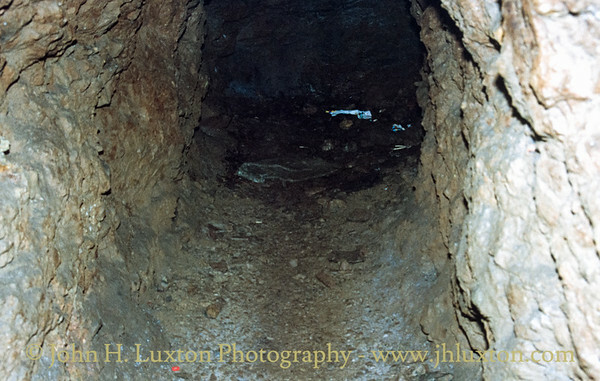 Between 1920 and 1925 this mine was investigated under the name Sally Bottoms and a new shaft sunk. 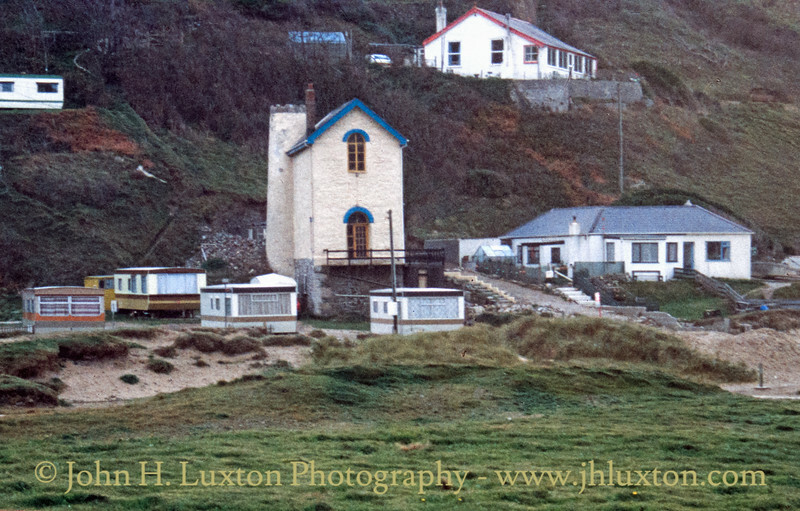 The engine house at Wheal Lushington at Porthtowan was constructed to house a fully enclosed engine. However it was not used and was converted into a house.